Escape the urban bustle at Nature & Wildlife Tours and St. Kilda Beach. 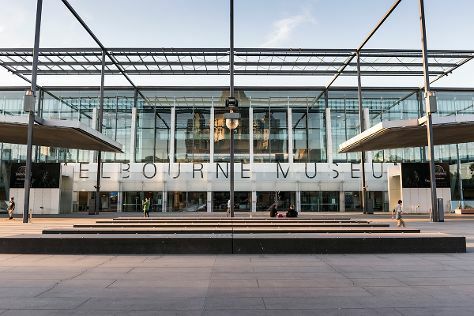 Museum-lovers will get to explore Melbourne Museum and Immigration Museum. You'll find plenty of places to visit near Melbourne: The Great Ocean Road (in Torquay), Werribee Open Range Zoo (in Werribee) and Eastern Beach Reserve (in Geelong). Next up on the itinerary: get a taste of the local shopping with Melbourne Central, learn about all things military at Shrine of Remembrance, admire nature's wide array of creatures at Melbourne Zoo, and take in nature's colorful creations at Royal Botanic Gardens. To find more things to do, other places to visit, reviews, and more tourist information, read our Melbourne itinerary planner. If you are flying in from Thailand, the closest major airport is Melbourne International Airport. In August, daily temperatures in Melbourne can reach 16°C, while at night they dip to 6°C. Finish up your sightseeing early on the 12th (Sun) so you can travel back home.